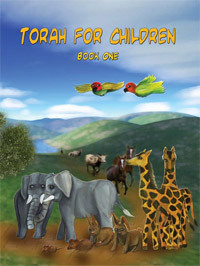 Torah for Children is a series of books, assisting Torah observant parents and those new to the Hebraic faith to teach their children the way of YHWH in a Hebraic environment. The first book in this series contains over 100 pages and is now available and includes content from Creation to the Tower of Babel (Bereshith/ Genesis 1-11). Other books will follow soon. The books include short extracts from Scripture, simplified for children's comprehension, followed by either questions, puzzles, colouring pictures, activities, quizzes or many other activities, that will keep your children occupied and will stimulate their knowledge of Torah. Books can be ordered as single copies, as well as in packs of 5s, or packs of 10s. To preview some of the pages, click on link below and download the PDF file. 2CheckOut.com Inc. (Ohio, USA) is an authorized retailer for goods and services provided by Qodesh Books Limited. Credit Card Statement: Please note that Qodesh and/or 2checkout.com will appear on your credit card statement for your order that you placed with Qodeshbooks. Delivery of Goods: Please allow 1-2 weeks for airmail delivery, and 4-6 weeks for surface mail delivery to countries outside the USA. Quoted Prices: Please note that all prices are quoted in US Dollars. However, in the shopping basket, you may select from a range of currencies that are available, but will be charged according to the current US Dollar exchange rate. Copyright © 2018 Qodesh Books.